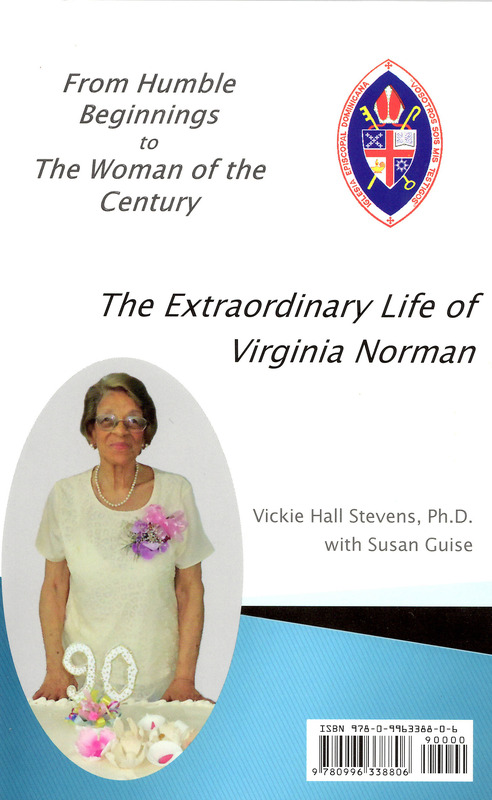 Dr. Vickie Hall Stevens, the wife of Bob Stevens, retired Executive Director of the Dominican Development Group, has written and published a biography of Canon Virginia Norman, whom Bishop Holguín named as the “Woman of the Century” during the 100th anniversary of the Episcopal Church in the Dominican Republic in 1997. The book costs US$10.00 plus US$3.50 for shipping, plus an additional US$0.65 sales tax if shipped within the state of Florida. It can be ordered by emailing Bob Stevens at this address: salukistevens@gmail.com or writing to him at this address: 17806 Roanwood Ct., Parrish FL 34219-5099. Each copy of the book contains the same text in both English and Spanish, and has 12 pages of color photographs. Net proceeds from the sales of this book go to the Virginia Norman Micro-credit Program for women in the Dominican Republic. The Extraordinary Life of Virginia Norman describes the amazing and inspirational story of Canon Virginia Norman in her over 60 years of service with the Episcopal Church, first in the Dominican Republic and then with the broader Provincial and National Episcopal Churches. From humble beginnings and a lifetime of service to being named “The Woman of the Century” for the first hundred years of the Episcopal Church in the Dominican Republic, Virginia has lived out her faith in the service of Christ and his Church. In English and Spanish, with pictures chosen by Virginia herself, and contributions from Susan Guise, Dr. Vickie Hall Stevens documents this exemplary story for men and women everywhere. A PDF copy of this flier is available here.